speculation on the exclusive moral significance of humans. Spanning several fields, including philosophy of psychology, philosophy of science, and other areas of contemporary analytic philosophy, Agar analyzes and speaks to a wide array of historic and contemporary views, from Aristotle and Kant, to E. O. Wilson, Holmes Rolston II, and Baird Callicot. 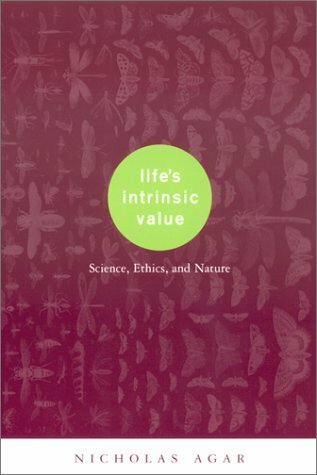 The result is a challenge to prevailing definitions of value and a call for a scientifically-informed appreciation of nature. Why Are Humans Morally Special? An Ethic to Live by? Does Life Value Leave Room for Human Lives?